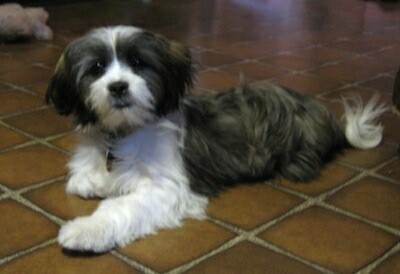 The Jack Tzu is not a purebred dog. 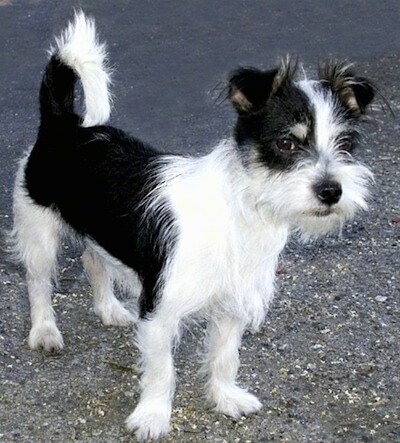 It is a cross between the Jack Russell Terrier and the Shih Tzu. The best way to determine the temperament of a mixed breed is to look up all breeds in the cross and know you can get any combination of any of the characteristics found in either breed. Not all of these designer hybrid dogs being bred are 50% purebred to 50% purebred. It is very common for breeders to breed multi-generation crosses. 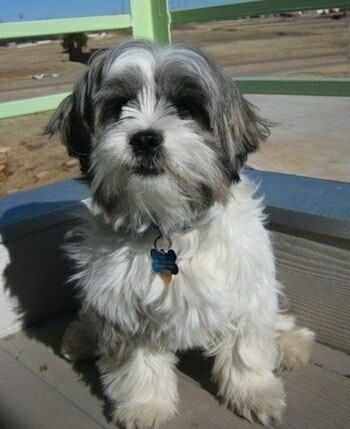 Jack Jack the Jack Tzu at 7 years old—"Jack is the most loyal dog I've ever owned. He is very smart and comforting. He will sit buy you if your sick, and get you running on his walk. As he got older he got more laid back. He sheds like no other, which is the only downside of having him. This crossbreed is a perfect combination of brains, loyalty, and zen." 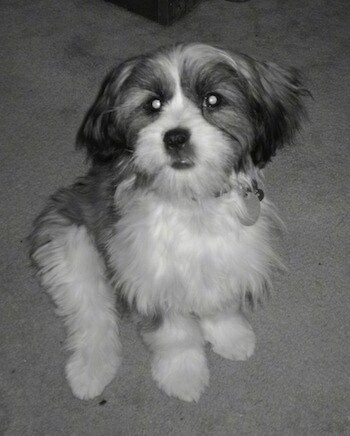 Harry Bosch the Jack Tzu at 9 months old—"We chose Harry Bosch after months of searching. His mother is a beautiful long-haired honey coloured Jack Russell. 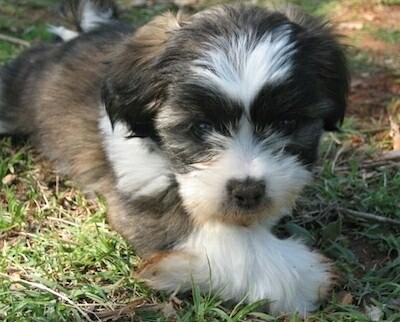 His dad comes from an imperial line of Shih Tzu. Both parents were small. Harry has been exceptional from the day we picked him up. He already had the hang of doing his business outside so from 9 weeks, we only had 3 accidents and they weren't his fault. He has always been so sociable and even now at 9 months he knows how to handle himself with bigger dogs. Submit!! ...on his back and loads of kisses. He is ball mad and will take his ball to children in the park for them to throw for him. He is so agile and can catch like a fielder! I have children queuing up to play with him and he adapts his game to very low key for as young as 14 months. He really is our perfect dog." 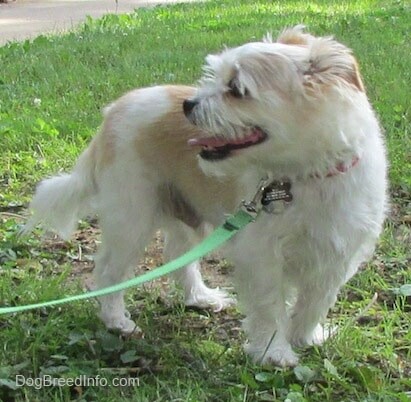 "This is my Jack Russell Terrier x Shih Tzu mix. He is a little over 1 year old and is extremely active. He loves longs walks and really enjoys running around in a fenced-in area. 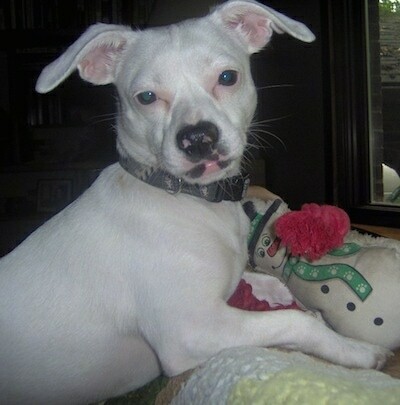 He is always happy and wagging his tail and loves to play with his toys. He is loving and does not usually bark or bite. He is very intelligent and can stand and walk on his hind legs. He loves to dig and licks like crazy! We adopted him as a puppy from a friend who could no longer take care of him. She bought him from a reputable breeder. Enjoy!" 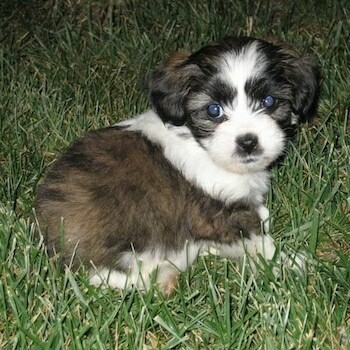 "This is Frankie the “Jack Shihtz” (Jack Russell / Shih Tzu mix). He's got all the best qualities of both breeds: smart, athletic, funny, stubborn, wild and cuddly. A fantastic agility dog and a movie star." 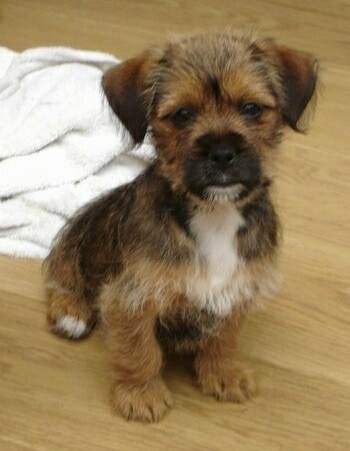 "This is my cute little boy Alfie as a puppy at about 11 weeks old. 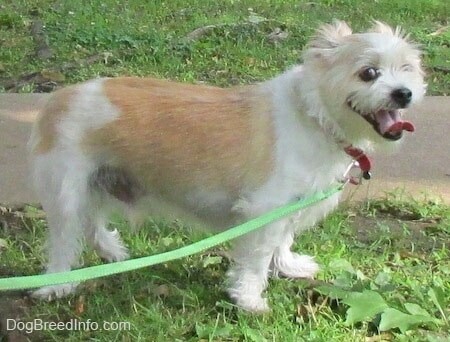 He is a Shih Tzu and Jack Russell cross. It seems to have worked very well for him! 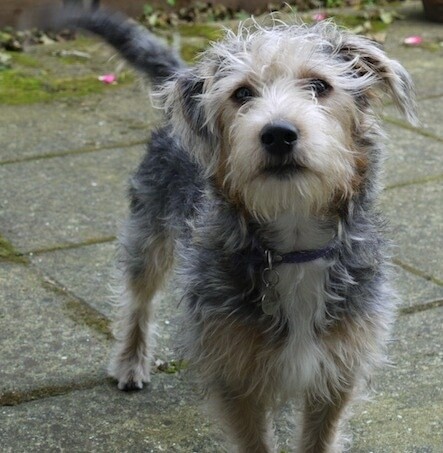 He has a fantastic personality, easygoing, not yappy and extremely friendly to everyone (dogs and humans!). 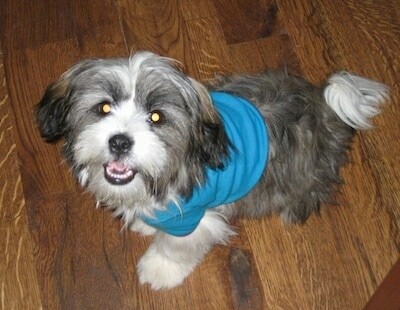 He seems to have the calmness and 'lap dogness' of a Shih with the cute, confident personality of a Jack Russell. I think he looks pretty cute too! People say that he looks a bit like a Boston Terrier, but I met his parents and they were an odd couple!" "This is my dog. Her name is Daisy. 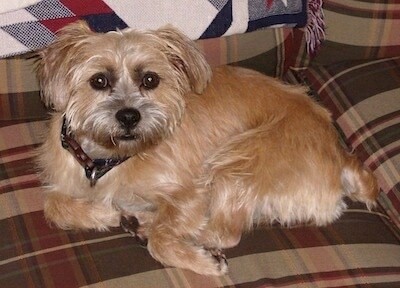 She is a Jack Russel / Shih Tzu mix, shown here at about 1 and half years old. 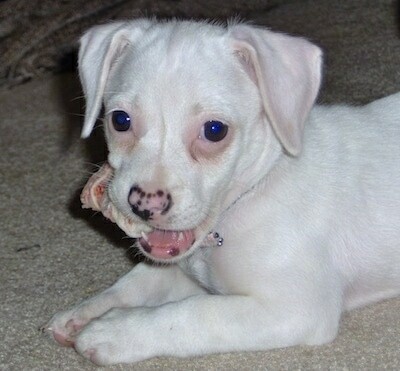 She looks and takes after a Jack Russell more than a Shih Tzu, but she has no spots like the Jack Russell. The only spots are her nose and inside her mouth. She has lots of energy and is a very lovable dog." 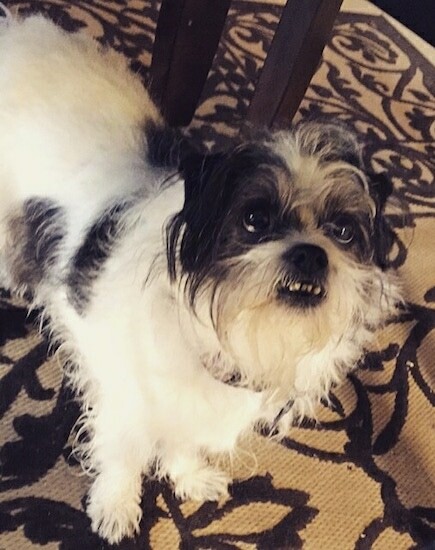 "This is Max, our Jack Russell / Shih Tzu mix. He is not a designer dog per se, but more of an accident. He is the BEST DOG EVER! 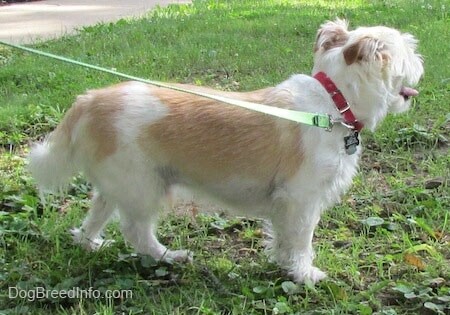 His mother was a purebred buff Shih Tzu and his dad was a short-legged rough-coated Jack Russell that happened to visit the neighbors’ adjacent property. 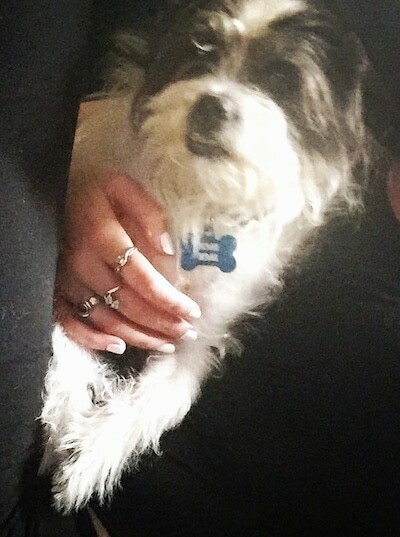 He exhibits traits from both breeds and can be extremely active like a Jack Russell, but also quite a mellow lap dog like a Shih Tzu. 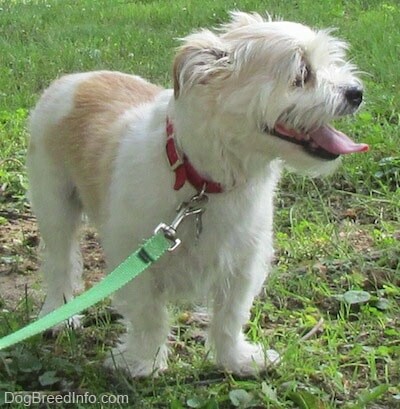 He definitely has the Shih Tzu coat as you can tell in the photos, but has the longer legs of a JRT and his snout and face is more elongated like a JRT and not so flat like a Shih Tzu. Max is very smart but can be stubborn. 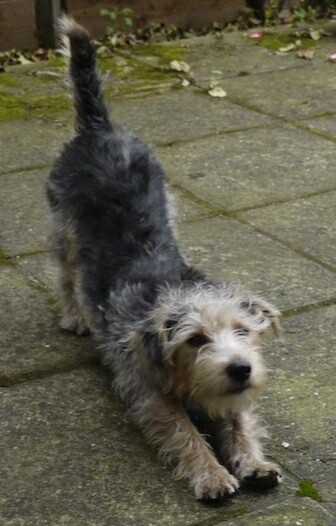 He got the terrier trait of digging for sure as well as the Jack Russell jumping ability! He bounces like his legs are springs! All in all, he is the perfect blend of both parents and we couldn't be happier for such an accident to happen and create quite the unique hybrid!"